The Moon Phase Project is made possible by the collaborative efforts of a handful of kanaka from throughout the islands of Hawaii. Each of our moon bloggers have their unique manaʻo and places that they observe. We have begun to introduce our team, please stay tuned and get to know each of us! 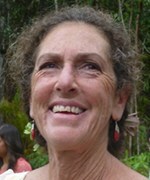 Allie is the owner of Lehua Lena Nursery, a Hawaiian native plant nursery. 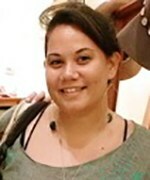 She is also an environmental studies and botany teacher at Hawai‘i Community College. Using the Hawaiian moon calendar as a resource tool for planting, pruning, and collecting plant material in the nursery has become an integral process in the management of the nursery. In her classes she uses a Hawaiian moon phase calendar and monthly planner to introduce the students to the practice of kilo. By listening, observing, and recording information in their planners, the students increase their awareness of their surroundings and reflect on their connections to it. Aloha! 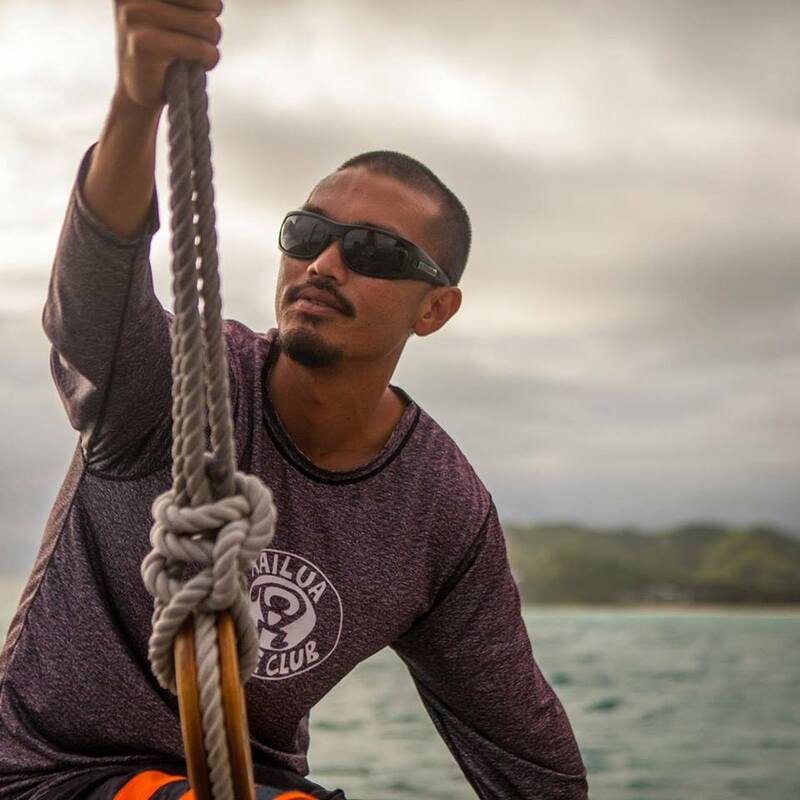 I am from Kailua, Koʻolaupoko and like to spend most of my time in the ocean paddling, surfing, and sailing waʻa, although farming and growing plants is a hobby that I wish I had more time for. I liked the ocean so much that I decided to study marine biology in college and currently work for the Office of Hawaiian Affairs helping to manage the Papahānaumokuākea Marine National Monument. Sometimes I even get lucky enough to travel to pō learning from the ʻāina kūpuna in the northwest. My interest in the mahina revolves around weather patterns and anything else seen while looking up. What I enjoy the most out of being a part of Team Mahina, is sharing the ʻike of our kūpuna to everyone interested, and hopefully growing that knowledge base to all of Hawaiʻi. Aloha mai kakou! I was born and raised on the Hawaiʻi and am stoked to be raising my children here. I graduated from UH Mānoa with my Bachelors of Arts in Biology, my main goal was (and is) to integrate Hawaiian culture and language with the current Western and contemporary views of conservation that guides many of Hawaiʻiʻs conservation efforts today. There is a larger movement towards this type of integration and I am excited to be apart of it. In 2012 and 2013 I was a part of the design and creation of the Hanalei Moon and Tide Calendar which encourages the communities of Hawaiʻi to be aware and observant of their environments. I am continuing supporting observation-based learning by co-creating and cultivating the Moon Phase Project. 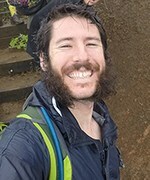 I currently post my observations from Makuʻu, ʻOlaʻa, Miloliʻi and Kohala. Trevor teaches Ko Kula Uka (8th Grade) at Hālau Kū Māna Public Charter School, where students are correlating their daily observations of change to traditional Hawaiian understandings of lunar and solar patterns. In its fifth year, this practice of kilohana has evolved into tasking each student with reporting on a specific element within the three Papa, Papahulilani, Papahulihonua, and Papahānaumoku, and connecting their data to other students, schools, and the online moon phase craze.